Check out these cool tools and gadgets we discovered on the show floor! 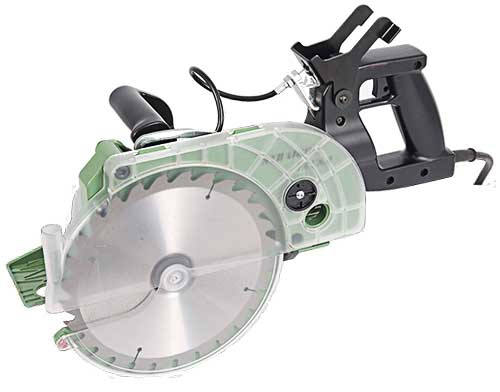 This new handheld circular saw gives workers the ability to make accurate zero-clearance cuts, which reduces the need for the reciprocating saw and many other tools, and eliminates many secondary cutting operations. With its 8.5-in. flush-cut recessed blade, it offers deeper controlled cuts, including a 3-1/8-in. lower deck cut and a 1-9/16-in. front deck cut. 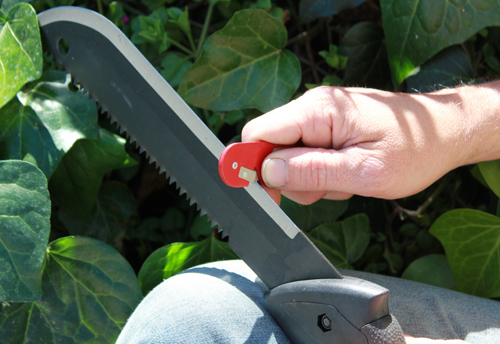 The handle rotates and locks to allow the most ergonomic position for the orientation of the blade. The new saw offers 65-deg. maximum bevel cut, a strong allow body and a high-torque motor that delivers up to 1,000 RPM for fast, clean cutting. Visit www.straightflushsaw.com. The single-serve (K-cup) coffee maker is billed as “the world’s toughest,” built with an impact-resitant polymer shell and a “crush-proof” chassis up to 1,500 lbs. 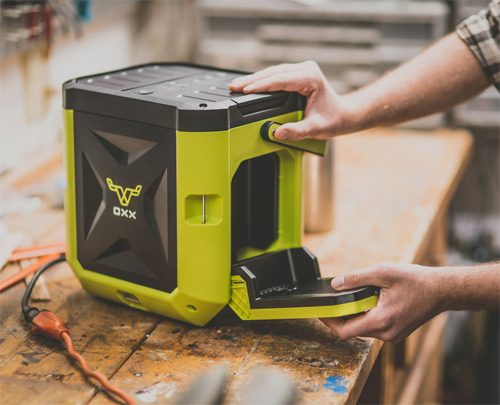 The CoffeeBoxx has a removable spill-proof water tank, rubberized carrying handle and a 3-ft. retractable power cord. It works with all K-Cup compatible pods. Visit www.oxx.com. 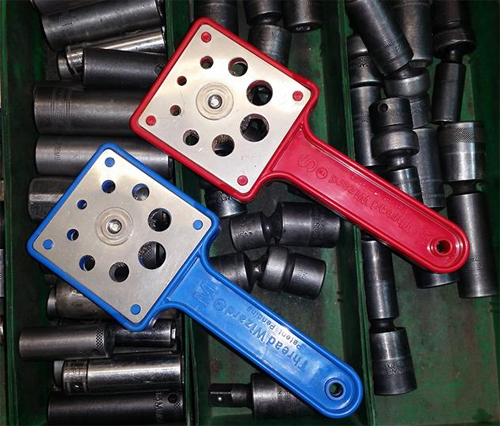 The Thread Wizard from GolaTTaylor Tools, Inc. is a simple thread cleaning tool for renewing dirty, corroded bolts to like-new condition. Simply insert the bolt shank into the appropriately sized bolt hole and use your dril to spin it. Work the Thread Wizard over the bolt as you spin it, and the tool’s internal wire bristles will clean the thread. Visit www.Threadwizard.us. 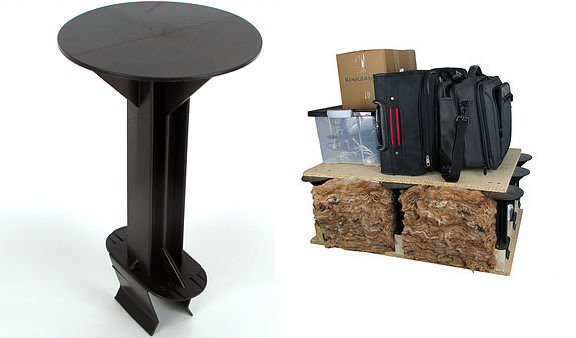 Attic Storage Stilts allow you to quickly and easily create a raised boarded area inside your attic or loft so that you have more room for storage, while still keeping the maintaining the necessary attic insulation for the best energy efficiency. Simply clip and slide the stilt onto the joist in your attic into the desired position. Screw down through the pilot holes using a screwdriver. Lay your insulation down and then attach plywood panels boards by screwing into the surface plate of the stilt. Visit b-innovations.com. The new Gorilla Sealant is tough, clear 100percent silicone available in an easy-to-use squeeze tube for DIY’ers. Suitable for both indoor and outdoor applications, the sealant is water-ready thirty minutes after application, won’t yellow, shrink or crack, and it’s mold and mildew resistant. Visit www.gorillatough.com. 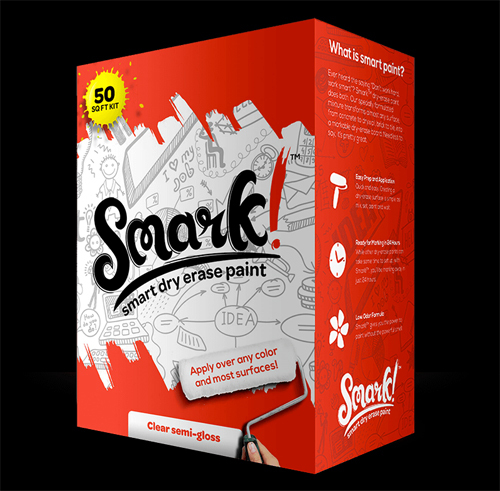 Smark is a dry-erase paint that goes on quickly and adheres to most surfaces and materials. Create an an area for your kids to draw in their bedrooms or make an idea wall in your corporate conference room. Use it to keep track of to do lists in your home office or for fun DIY projects. The product is easy to apply; just pour it, mix it and paint it on. Visit www.smarkpaint.com. Now available in the US, The Heft is easy to attach to a long-handle tool as an ergonomic auxiliary handle for a more ergonomic working posture. It works with almost any long shaft tool to reduce pain, fatigue and potential injury. It attaches in less with a simple twist in less than one second, requires no tools for installation and has no moving parts. Visit www.theheftusa.com. 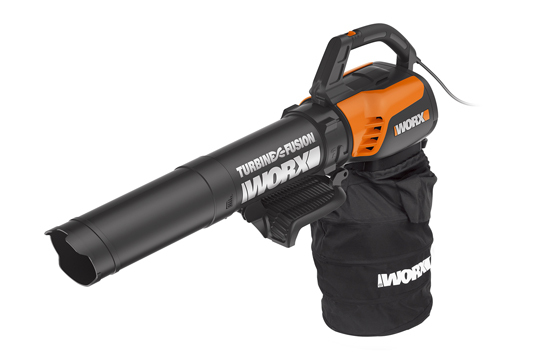 The new Worx TurbineFusion Blower/Mulcher/Bagger features the best of two worlds by combining high capacity air volume at 500 cfm (cubic-feet-per-minute) with turbine fan technology to produce a two-speed blower/mulcher/vac with an all-in-one, single-tube design. This vac also features a two-stage, metal-impeller, mulching system that produces an industry-leading 24:1 mulch ratio. TurbineFusion moves air freely across its axial fan to a maximum air velocity of 500 (cfm). Its two-speed control provides a light breeze option when working in sensitive areas or full volume to move stubborn leaves and yard debris. It also features a two-stage mulching system. In stage one, a high-velocity shredder blade shreds debris before entering stage two, which pulverizes it with a metal impeller into fine mulch. If a neighbor was raking leaves by hand, he’d fill nearly 24 recyclable bags, compared to a single bag with TurbineFusion. Visit www.worx.com. 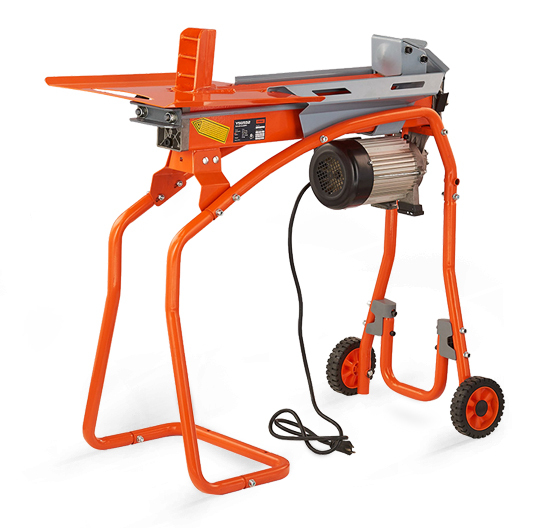 The Yardmax Electric Log Splitter makes log splitting simple and efficient. 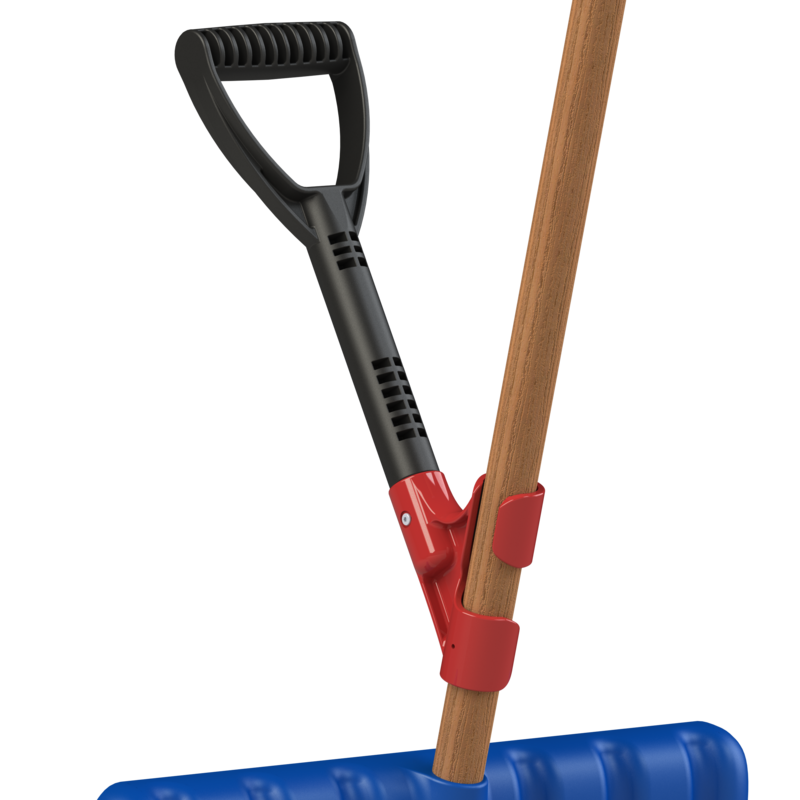 High-powered, lightweight, and easy to maneuver and operate, Yardmax log splitters are built to maximize user experience and results—with the simple portability and the convenience of clean, electric splitting at a far more reasonable price—the new splitter will enter the market at a price less than $300. 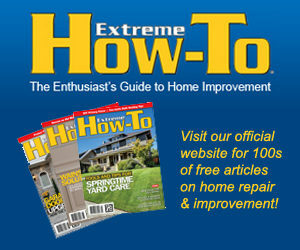 Visit www.yardmax.com. 3 in 1 Truck Ties are designed to fit into any stake pocket on any make/model of truck. They feature three distinct uses, allowing you to: (1) attach multiple cargo straps to secure the load by installing the truck ties with the ring facing the truck bed; (2) fasten a load with a rope by tensioning and tying each time the rope is passed over the load with the cleat side facing the truck bed; or (3) cover the load with a tarp by placing a blue tarp over the stake pockets and inserting the truck ties into the stake pockets over the tarp, thus securing the tarp for freeway speeds and keeping the tarp from being damaged. The truck ties are manufactured from durable nylon plastic that won’t scratch the finish of your new truck, and they install easily with no drilling or modifications. Visit www.3in1truckties.com. The gallery magic is an innovative product that combines the strength of rare earth, Neodymium magnets and advanced metal alloys to create a strong, durable solution to hang your framed art in minutes. Never deal with frustrating hooks or wires again. 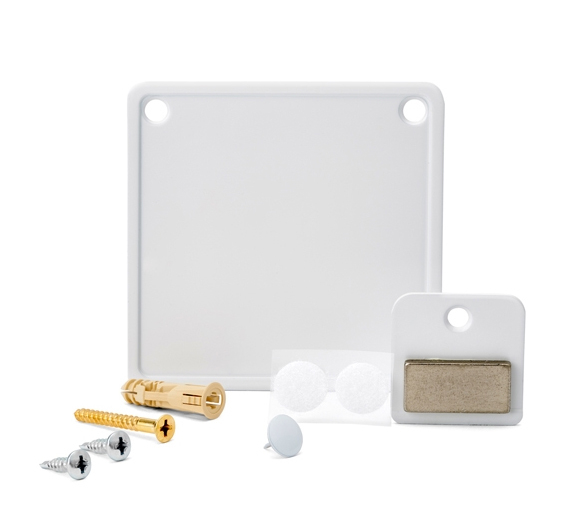 Simply attach the frame plate to your artwork with the provided screws. Attach the glue dot and push-pin to your artwork to find the perfect spot to hang. Attach the magnet plate to the wall with the brass screw provided. Place the frame on the wall, and the magnet will grab and attach to the frame plate. Adjust in any direction for perfect placement. Visit www.mygallerymagic.com. An ideal pocket-sized sharpening tool, the Sterling Sharpener has been made in the USA since 1977. It hones blades in just a few strokes and requires no messy honing oils. Available in assorted patterns and colors, its made of high-quality rust-proof airplane aluminum and has sharpening blades made from the highest quality tungsten carbide. Visit www.sterlingsharpener.com. Cook a meal in 20 minutes, reaching temperatures up to 550°F (290°C), even under cloudy skies and without using fuel. 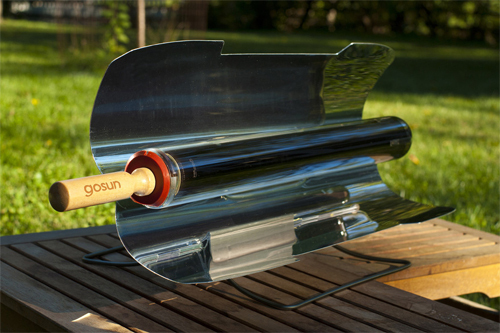 Load your food into the cooking tube, and the Go Sun Stove does the rest. GoSun’s compound parabolic reflectors and tubular design converts nearly 80 percent of all sunlight entering its reflectors into useable heat. The GoSun Sport includes a durable borosilicate, vacuum tube oven, two anodized aluminum, parabolic reflectors that fold to protect the tube, a stainless steel cooking tray, a scrubby cleaning tool and stainless steel carrying handles. Visit gosunstove.com.